A reader asked what time during the day I facilitate groups. Q: I really enjoy your blog. I would like to know what time of day do you schedule your groups? I can only have them at the lunch hour, so it restricts things a bit. A: Making time for groups can be challenging, but it is possible! At my current school I work with late elementary and middle school school aged students (grades 5-8). Our school runs on a six day learning cycle instead of using days of the week. However, I facilitate groups and programing using days of the week. Below I discuss the times I facilitate groups and the advantages and disadvantages of the times. In a middle school or high school setting, advisory period, homeroom, or study hall may give you enough time to facilitate a group. Advisory periods and homerooms are usually the same time for all grade levels. Study halls usually occur at certain time of the day, so it may be possible to pull students from multiple study halls at the same time to create a group. Some study halls have more than one grade level, so you could meet the needs of students in multiple grade levels by creating a group. I meet with students individually and in groups during lunch, but I do not facilitate set counseling groups during lunch. Students have lunch at our school for 30 minutes. Once students get their lunch and get up to my room we have about 10 - 15 minutes of time - not enough time for a counseling group. I try to reserve lunch times for when students are having a conflict with each other or would like to discuss a concern with me as a group. If your school has longer lunch periods, lunch might be an option for you to run groups. It is also possible to work with lunch staff to expedite students getting to your office from lunch. I talk to the lunch staff, show them the passes I give students, and ask that students with passes go first through the line so they can get to my office in a timely fashion. It usually shaves off a few minutes at least! Morning Meeting is a time where homerooms or classrooms meet as a group and facilitate activities to build community. Morning Meeting is part of Responsive Classroom and Developmental Design. All teachers K-8 are required to facilitate Morning Meeting in my school. Morning Meeting can be a good time to pull students because it is first thing in the morning and lasts approximately 30 minutes. Teachers and administrators do not mind if I pull students for groups during this time. I am currently running a grief and loss group during Morning Meeting time and it is working great. I have not utilized recess for groups yet this year, but I have utilized recess for groups in the past. At my school kindergarten through fifth grade have a 30 minute recess and individual classrooms have recess at different times. When one class is at recess, other classes are receiving core instruction. If there are multiple students in one classroom who would benefit from a group, I utilize recess time. In the past when I have utilized recess time for groups, the school where I worked had multiple classrooms at recess during the same time. Recess is a great time to facilitate social skills groups and friendship groups. Students do not want to miss recess unless they are sure they are going to have a good time, so I make sure to incorporate games and play into groups held during recess. Since I facilitate my groups using days of the week instead of the six day learning cycle, students do not miss the same special each time we have group. The administrators at our school have said that school counselors are allowed to run groups during specials for RTII Tier II interventions, which includes counseling groups. Using specials time for groups can be difficult because it is instructional time. I let specials teachers in know in advance I will be running a group, give them information about how long the group will last and notify them of which students will be in the group. Sometimes, the need for a group is so great that teachers are willing to re-arrange their schedules or make time for a group. If you determine need for a group, talk to the teachers! 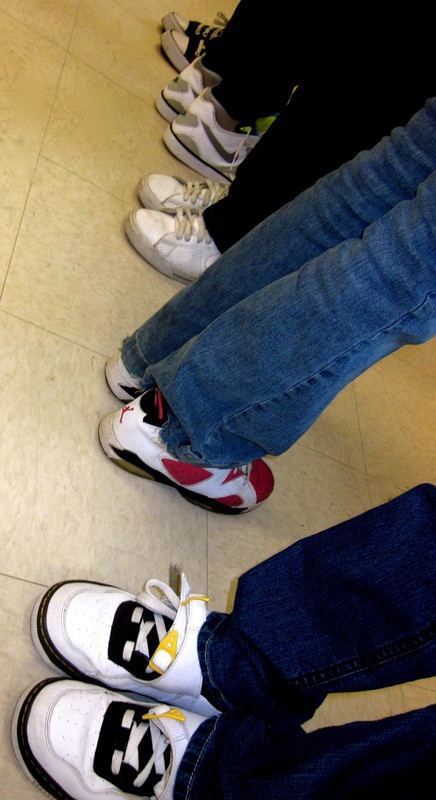 You may be surprised at the willingness of teachers to accommodate groups. At my school, I have hosted group during times pre-arranged by the teacher and they worked out great. The teacher had an investment in the group time, so students always showed up on time and ready to start! To determine need for groups, I rely on teacher or administrator referrals, student self referral, my own referrals from meeting with students individually, and results from needs assessments. When I determine there is a need for a specific group, I screen all of the potential members and determine if they would be a good fit for the group. If you can prove there is a need for a group, getting your principal and the teachers on board it becomes much easier to justify a need for group time. It also becomes much easier to make time for a group when everyone agrees their is a need. What time during the school day do you facilitate groups? Comment below, email me, tweet, or share on the School Counselor Blog Facebook Page! 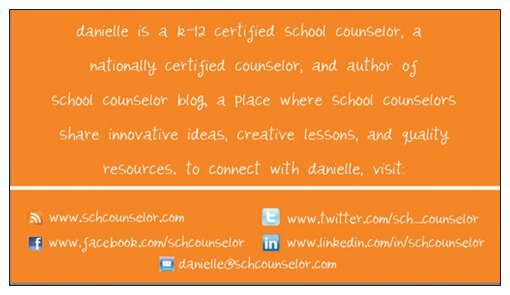 Danielle is a K-12 Certified School Counselor, Nationally Certified Counselor, and blogger at School Counselor Blog, a place where school counselors share innovative ideas, creative lesson plans, and quality resources. 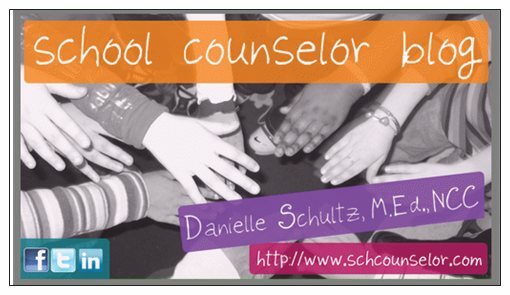 Contact Danielle via email, follow her on twitter, and become a fan of the School Counselor Blog Facebook Page. I am currently running three groups using the Girls in Real Life Situations curriculum. The curriculum is great! I especially like the Girls in Real Life Situations curriculum because it allows for flexibility. One of the activities in Girls in Real Life Situations is an activity, where girls stand on a line when they can relate to statements read by the facilitator. An example of a statement includes, "stand on the line if you like the color red." The purpose of the activity is to show similarities and how the girls are connected in different ways. The line activity in the Girls in Real Life Situations curriculum reminded me of "The Line Game" from The Freedom Writers Diary by Erin Gruewll. In Freedom Writers, the movie version of the Freedom Writers Diary, Erin Gruwell (played by Hillary Swank) facilitated "The Line Game" with her students. She instructed students to "stand on the line" if the experience she stated related to them. The statements progress from general to more sensitive subjects. Some of statements included, Stand on the line if you... "like rap music," "got detention at school," "feel safe in your neighborhood," and "ever heard gunshots." I work in an inner-city school with high level of poverty and violence in the community. I felt like this activity would really resonate with my students because of their life circumstances. I facilitated "The Line Game" in the second session in all of my G.I.R.L.S. groups. The girls really connected with it. (One of my groups actually wanted to do it more than once.) It is a very powerful activity for many reasons. It helps students realize that they are not alone in their experiences. Students are able to see that many of the issues that they are facing other students are facing as well. They also see that some students may be experiencing hardships they have not experienced. It also allows them to talk about tough topics in a safe environment. I have the The Freedom Writers Diary Teacher's Guide , which has a wealth of great activities! It includes instructions and statements for "The Line Game." You can also view a guide for "The Line Game" activity for free by clicking on the link. For me personally, "The Line Game" opened my eyes to the magnitude of violence my students face. Before doing the activity with my group I read over the statements to myself and thought about which ones they might stand on the line for. It was disheartening to see my predictions come true. I am glad the girls felt safe and comfortable enough to stand on the line in front of their peers and in front of me. The group of girls who wanted to do this activity more than once said that it was their favorite activity they did in the group. Although they were not able to articulate why exactly they felt it ways their favorite, I believe it was because it validated their experiences and made them feel less alone. At the request of the girls in my group, we did "The Line Game" a final time for our last group session. How will you use "The Line Game" with students? Comment below, email me, tweet, or share on the School Counselor Blog Facebook Page! Groups, Groups, and More Groups! It's crazy to think Thanksgiving is next week! It feels like just yesterday it was August! I wanted to share about groups I have been running so far this year and groups I plan to start in the near future. I am running two sixth grade girls groups, and one seventh grade girls group using Girls in Real Life Situations (G.I.R.L.S.) curriculum by Julia V. Taylor. The groups are going great! The Girls in Real Life Situations curriculum is working out really well. Girls in Real Life Situations covers a myriad of topics including self esteem, friendships, and stress. I love that the curriculum is flexible and enables the facilitator to pick and choose which activities to facilitate for each topic! I have used some of the activities in the Girls in Real Life Situations with other groups I am running too! I will be writing a review about the Girls in Real Life Situations curriculum in a future post. I am currently running two grief and loss groups. One group, a group of sixth grade boys, started three weeks ago. The other grief and loss group, a group of fifth grade girls, just started this week. I have been using a variety of different curricula and activities for my grief and loss groups. I used the "Wall of Support" activity from the Girls in Real Life Situations curriculum with the grief and loss group for the sixth grade boys and it went very well. The purpose of the "Wall of Support" activity is for students to identify family, adults, and friends who support them as well as hobbies/activities that they enjoy. I made a handout for students to use to create their wall. I am also using some activities from Healing Activities for Children in Grief . I plan to have students make memory boxes during one of our sessions. We are also going to do a balloon release at the end of the group. Over the summer I volunteered at a grief and loss camp for kids. Everyone got a helium balloon and wrote a message on it. Then, everyone released the balloons at the same time. It was very powerful. Tess's Tree by Jess M. Brallier is another book I plan to use with students in my grief and loss groups. Tess's Tree is about a girl whose tree is cut down after being damaged in a storm. Tess's Tree shows an array of emotions Tess is experiencing. I plan to read Tess's Tree with my groups to discuss the stages of grief that Tess experiences as well as talk about how she memorializes her tree. The book is beautifully illustrated by Peter H. Reynolds founder of FableVision. I am starting groups for children who have a mom, dad, or close family member in jail. I plan to start a group of seventh grade boys and possibly another grade level at the beginning of December. I have facilitated groups for children of incarcerated parents in the past and I work with many students who have a mom, dad, or close family member in jail. I was recently interviewed by the American Counseling Association about my work with children of incarcerated parents. The article, Endangered Innocence, appeared in the November issue of Counseling Today. I plan to use some activities from My Daddy Is in Jail , Empowering Children of Incarcerated Parents , the G.I.R.L.S. curriculum, and the Seeing Red curriculum, and some I created. I will be writing more about the "Through the Walls" groups in a future post. I am also planning to start a sixth grade boys group for anger management and conflict resolution using Seeing Red: An Anger Management and Peacemaking Curriculum for Kids . I have run groups for fourth, fifth, and sixth grade using the Seeing Red curriculum. The Seeing Red curriculum is one of my favorites because of it's great icebreakers and activities. It students really connect to the activities in Seeing Red because they are fun and informative. I am planning to start more groups after Thanksgiving break. Next week two of my two sixth grade G.I.R.L.S. groups will be ending. I am in the process of screening for an eighth grade girls group using the Girls in Real Life Situations curriculum. The students are very excited about being a part of it and keep asking me when it is starting. I really enjoy facilitating groups. Counseling groups allow me to serve many students at once. I also love that students are able to support and be supported by their group members even after their group is over! What types of groups are you currently facilitating? What curricula do you use? Comment below, email me, tweet, or share on the School Counselor Blog Facebook Page! I received an email from a reader the other day about graduate school for school counseling. After answering her initial questions, I came to the last line of the email, which asked, "What is your most important advice for an aspiring school counselor?" Wow, I thought, I really need to think about that one. I thought about it last night and now this morning sitting down to write, I realized I knew the answer all along. I thought about one of the best pieces of advice I ever received and how it has helped me as a professional school counselor and as a blogger. The advice was from my dad, and he continues to give this advice to me often. "It's just who knows who. Then over here you have favoritism." One of my favorite movies of all time is Raising Arizona , a Joel and Ethan Coen movie. My family watches it every year when we go on vacation. My mom, dad, and I quote the movie all the time. The quote from the movie that has the most meaning for me, however, is the line most quoted by my dad. Nicolas Cage's, character HI McDonough, states "It's just who knows who. Then over here you have favoritism." Growing up I have heard this quote over and over. The reality of the quote did not hit me until I started looking for a job. My dad has always instilled in me the importance of making connections with people. I learned all I know about networking from my dad. I do not think he ever overtly taught me how to network, I picked it up by watching him interact with people and in business settings. Even when I am not working, I am working. It might be a because I am a bit of a work-a-holic, but I also think it is because I am always looking for connections. For example, I was at the grocery yesterday picking up food for dinner. I was waiting at the counter for an order when I spotted a manager. I stopped him and asked him if I could have a second of his time. I went on to ask him if he would be interested in his store participating in a program we started at my school (more details to come on that later... I don't want to spoil a future post!). He was excited about the prospect and said he would talk to the store manager. When I meet new people or I am in a new situation I often think to myself, "How can we work together or collaborate?" I highly value the relationships I make with people. I make a point to stay in contact with previous professors, colleagues from other cities, and people I have formed partnerships with along the way. I share ideas with them and they share ideas with me. If you don't have a business card, get one. I cannot stress enough the importance of having a business card. I have two business cards, one specifically for school and a professional one. 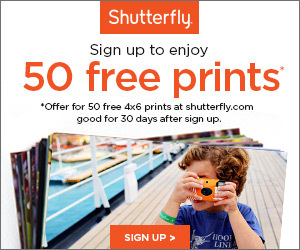 I made them both using Vistaprint and was able to get the business cards for free and just pay for shipping. I also recommend carrying business cards with you at all times. You never know when you will make a new connection! I have received lots of great advice over the years from my parents, family, friends, professors, colleagues and other professional school counselors. What advice would you give an aspiring school counselor? A reader asked me about what to look for in a graduate school program for school counseling. 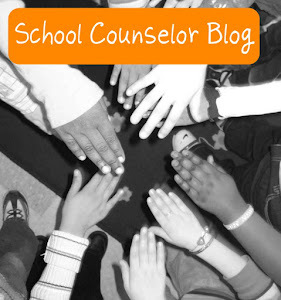 Q: I just encountered your School Counselor blog - it's so informative! My dream job is to become a school counselor. My passion in life is to help high school students achieve their career goals, including going to college. I currently work at a community college in Iowa as an admissions representative. I love my job, but I am so excited to become a school counselor. Right now, I am searching for graduate programs in School Counseling. Do you have any suggestions on things I should look for in programs? Any pointers on actually filling out the applications? Also, what is your most important advice for an aspiring school counselor? A: I am so glad you are enjoying my blog and finding it useful! Read below for some answers to your great questions! I wrote blog entries about graduate school that you may find helpful. My Journey to Becoming a School Counselor discusses my personal process for becoming a school counselor. Navigating Graduate School for School Counseling discusses programs accredited by the Council for Accreditation of Counseling and Related Educational Programs (CACREP). M.A., M.Ed., and or M.S.? - Which Should You Pursue? discusses the difference between master's degrees school counselors can pursue. All of the previous entries about graduate school I wrote give tips and ideas for figuring out the daunting process of finding a graduate school! Filling out applications can be daunting as well. I would recommend carefully looking over what is required and getting as many people as you can to proofread. I would also recommend getting letters of recommendation from as many people you know. That way, you can pick recommendation letters that fit best with each graduate school. I would also recommend finding a graduate school near where you want to work in the future. Because of my master's program connections, I was able to get a job as a long term substitute school counselor before I even graduated. I was emergency certified and hired by a school district for my field II experience. In my blog entry: My Journey to Becoming a School Counselor, I mention how I tried to find a full time position in another part of the state after my long term substitute position was over. I had tons of interviews in another part of the state and held two long term substitute positions. I moved back to the other side of the state when I received an offer for a full time position at the district where I was first hired! The proximity of my graduate school and my connections definitely played a role in finding a position and getting hired. I love my current position, especially because I have an amazing school counselor with whom I share the building! In response to your question, "What is your most important advice for an aspiring school counselor?" I wrote a separate blog entry about networking and making connections. You have connections all around you right now in your undergraduate program who can help you get into graduate school. Working with your connections to get letters of recommendations or to make phone calls to potential graduate schools can make a huge difference! I hope this helps you begin the process of navigating graduate school! Please feel free to email me with additional or follow up questions! What did you look for in a graduate school program for school counseling? What helped you decide where to go? Comment below, email me, tweet, or share on the School Counselor Blog Facebook Page! Book Review: "Have You Filled a Bucket Today?" After hearing so many good things about "bucket filling" books I had to try them out for myself. I recently got "Have You Filled a Bucket Today?" and "Fill a Bucket: A Guide to Daily Happiness for the Young Child" . About "Have You Filled a Bucket Today?" The concept of "bucket filling" in "Have You Filled a Bucket Today?" is quite simple. Everyone has an invisible bucket with them at all times. When our bucket is full we feel happy, when our bucket is empty we feel pretty bad. "Have You Filled a Bucket Today?" explains many specific ways to fill a bucket and many specific ways a bucket can be emptied. Our invisible bucket can be filled by kindness and caring or emptied by negativity and meanness. One of the ways a bucket can be emptied is by "bucket dippers." "Bucket dippers" are bullies who try to empty other people's buckets in an attempt to fill their own. What "bucket dippers" do not understand is that you cannot fill your own bucket by emptying another person's bucket! When a bucket is dipped from, both the dipper and the dippee have empty buckets! Luckily, buckets can be filled again after a "bucket dipping" situation by kindness and caring. Why I like "Have You Filled a Bucket Today?" As a middle school counselor, I am constantly trying to find books that discuss bullying in a kid-friendly language and with which students can connect. "Have You Filled a Bucket Today?" definitely meets my criteria! Although this book is aimed at children younger than middle school age, the concept of the book defies age. I often read books geared toward younger elementary school students to middle school students. They enjoy being read to and if a book is written well and has a purposeful message even adults enjoy it. I have also shared this book with my mother who is a 5th grade teacher. She thought the book was really cute and would be a great one to share with her class. How I will use "Have You Filled a Bucket Today?" I plan to use "Have You Filled a Bucket Today?" with students in individual, group, and classroom settings. Although "Have You Filled a Bucket Today?" is geared toward early elementary, I will primarily use this book for 5th and 6th grade. "Have You Filled a Bucket Today?" is a great conversation starter for students about bullying, how to stand up to bullying, and how to support the victim. When I facilitate classroom lessons, small groups, and even in sessions with individual students about the topic of bullying, I have students come up with ways to be a positive bystander. "Have You Filled a Bucket Today?" will allow me to explain to students in a visual way about how doing nothing supports the "bucket dipper" and can empty your own bucket too! I would also like to introduce this book to teachers and other school staff at a professional development session. I would like to incorporate the book into our School Wide Positive Behavior Intervention and Support plan (SWPBIS). The common language of "bucket filling" and "bucket dipping" would be great to use throughout the school! There is a new "bucket filling" book coming out November 15th geared toward older elementary students, "Growing Up with a Bucket Full of Happiness: Three Rules for a Happier Life." If you are looking for a book geared toward younger elementary/early childhood, check out "Fill a Bucket: A Guide to Daily Happiness for the Young Child." Also, check out Bucket Fillers for free resources and ideas to use with "Have You Filled a Bucket Today?" "Fill a Bucket: A Guide to Daily Happiness for the Young Child," and "Growing Up with a Bucket Full of Happiness: Three Rules for a Happier Life." Bucket Fillers also has a free newsletter! How will you use "Have You Filled a Bucket Today?" at your school? Comment below, email me, tweet, or share on the School Counselor Blog Facebook Page! 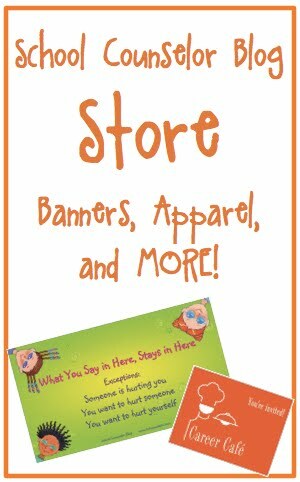 End of the season sales are a great time to stock up on items to use in your school counseling office! I love getting a good deal. I especially enjoy end of the season sales! At end of season sales you can find products at deeply discounted prices. Stores want to sell products fast so they have room to merchandise for the next season. 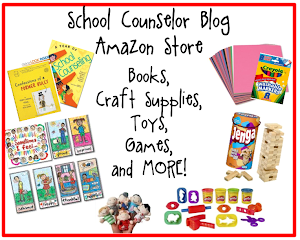 I have found some great deals on items for use in my school counseling office at end of season sales. The end of the Halloween season is an especially good time to stock up on items! This week I will be highlighting a few seasonal Halloween items to utilize in your school counseling office! Animal Crackers are available in stores year round in large animal cracker containers , 1 ounce animal cracker bags , and 2 ounce animal cracker bags . During the Halloween season, grocery stores and department stores such as Target, Wal-Mart, and K-Mart sell "Trick or Treat" packs of animal crackers in 0.6 ounce bags and 0.5 ounce bags. I like the "Trick or Treat" size bags because they contain just enough animal crackers to use for an activity and serve as a small snack for students. The end of the Halloween season is my favorite time to purchase animal crackers because they can be discounted anywhere from 30%-75% off of the original price. I found "Trick or Treat" packages of animal crackers containing 20 individual sealed bags for $1.50 at Target (50% off the original price) the day after Halloween. I use animal crackers as an icebreaker or opening activity for individual counseling sessions, group counseling sessions, and during new student groups/orientation. The animal cracker activity can be used with students in all grade levels! For the animal cracker activity, I give each student a pack of animal crackers. I instruct students to open the package and examine the animals in the pack. I ask students to find an animal with a personality or characteristics similar to their own. I explain to students if they cannot find an animal they are looking for, they can pretend one of their animal crackers is that animal. Once all of the students have chosen an animal cracker, I have them share which animal they picked and how it is like them. I am always impressed with the responses students give for this activity. Students put a lot of thought into how they are like the animal the picked. I used the animal cracker activity during one of my internships with a new student group of 10th graders. During the activity, one student shared that the animal he identified with the most was, "a pony." I asked him, "how do you feel you are similar to a pony?" The student responded, "I'm like a pony because everyone's always on my back!" I used the animal cracker activity in a group I ran this week with 6th grade students. After the students picked the animal that was most like them, I had them share with the group how the qualities and/or characteristics of their chosen animal are similar to their own. One student responded, "I chose a lion because I am the king of my house." I asked the student if he could share what it means to be "king of his house." He stated, "My dad is not around... I am in charge of making sure everyone is ok."
There are many variations and questions that could be used for this activity. In an individual session a student could be asked, "Which animal do you most identify with and how?" As a follow up, the student could be asked to share which animal crackers represent family members and/or friends. School counselors could also use animal crackers to talk about how students react or feel in certain situations, by asking "When do you feel most like a lion?" or " When do you feel most like a monkey?" Using animal crackers in group and individual sessions is a welcome surprise for students. Not only do they get a snack, but they get to participate in a fun activity as well. How do you use animal crackers in your work with students? What seasonal finds do you use in your work with students? 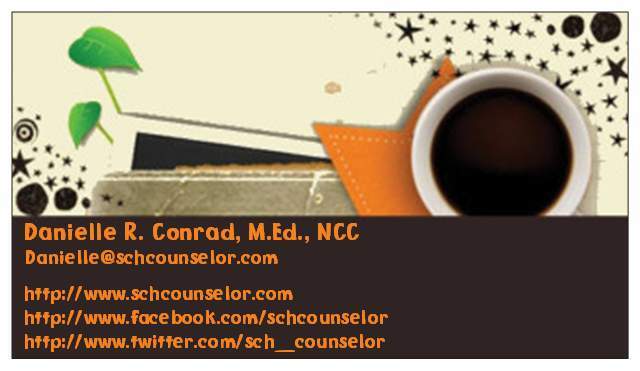 Comment below, email me, tweet, or share on the School Counselor Blog Facebook Page!